→Is Norwex a SCAM? Or a Clean Way to Deceive People? Is Norwex a SCAM? Or a Clean Way to Deceive People? ​I’d like to assume that the main reason you are here is that someone introduced you to Norwex and you are enticed to join them because of the seemingly good business opportunity it has for you. And now you wanted to make sure if venturing into it is worth your while, right? Making some research about a seemingly good business opportunity first will help keep scam companies at bay. There is a manifold of online money making opportunities, but not every one of them is legitimate and reliable. This is the reason why doing some research first is paramount not only to your success but also to your safety and security. 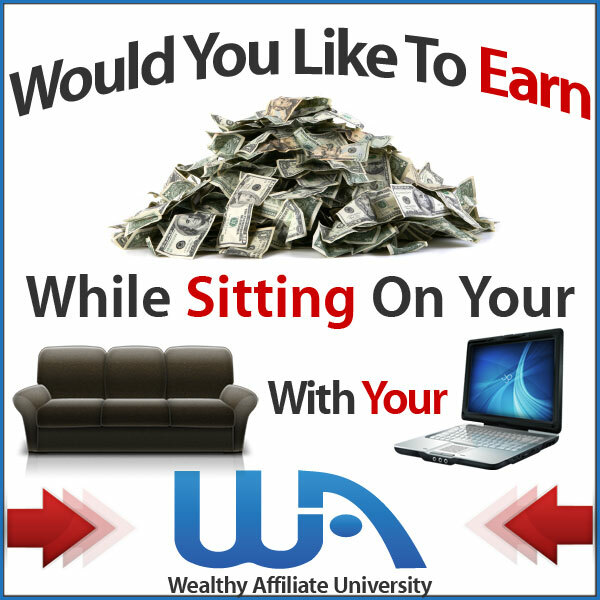 Don’t dive in right away on every online business opportunity you will come across with. I am certain that most of them could just be trying to scam you and don’t have your best financial interest at heart. My review and analysis of the Norwex opportunity are not biased and impartial. Simply because I am not associated with this MLM program or any other networking company for that matter. Thus, rest assured that I am not inclined to take sides or protect an interest, and with that, I can honestly say that I am delivering nothing but a truthful and honest to goodness review of the Norwex business structure. If you are seriously looking for ways to develop your online passive income, I suggest you consider ​affiliate marketing instead. I myself tried a manifold of online opportunities before, but this is the only platform that worked for me so far. Summary:​ Looking at their product offerings to their target market, we can safely say they are providing exceptional product lines. However, they are not offering a good business opportunity for anyone. They have ​fashioned the business they're offering to aspiring members in such a limiting manner and yet very demanding in terms of making sales to keep an independent distributor's member profile active. This brings us to one conclusion -- this company does not have the best financial interest of their members at heart. People who will join this networking group are likely to lose more money as opposed to what they earlier anticipated. The possibility of earning money here is slim to none. How to Get Started with Norwex? ​How To Get Started with Norwex? ​What Do I Like About Norwex? ​Norwex is an environment-friendly multi-level marketing company, founded in 1994 by Bjørn Nicolaisen. From the name itself, it is easy to make a wild guess that it is from Norway. Today, this company is taking pride in its 40,000 product distributors from all the four corners of the globe. Even if the origin of this company is from Norway, its accelerated growth helped it find its way to the US and Canada. Today, this organization is operating in 12 different countries and that includes the UK, Germany, Australia, Sweden, and many more. Norwex is involved in the marketing and selling of cleaning products. The working principle behind this company is to promote the use of nature-based cleaning products and veer away from commercial-grade which makes use of chemicals ingredients. First, the company has its roots in Norway. Second, their products are more expensive than those found in local markets. Everything started with a microfiber cloth which was accidentally discovered by Bjørn after using it to clean his windshield without the use of anything but water. Amazed by what he just found out, he tried to use the same cloth material to try to clean out other household items to see if it has the same amazing, cleaning effect, and voila it just did. So he came up with a list of household items that the said microfiber could clean sans any cleaning agents, and Norwex came into being. Later on, as the company grew it began to cover personal care items as well. I have reviewed a manifold of MLM companies before but I haven’t seen a sundry of products as what Norwex is offering. When it comes to cleaning anything, Norwex seems to have the perfect item for that. From toothbrush to toilet cleaning brush, from a kitchen towel to laundry soaps and detergents, this company have them all on offer. What makes their product offerings stand out and rise above the competition, they anchor the effectiveness and efficiency of their products by eradicating the use of or dependence on harmful chemicals. Hence, their company’s mission is to “ improve the quality of life by virtue of removing the use of chemicals inside our homes”. The million dollar question here now is, is there any truth in that? Before we delve into that, let us take a look into this first. The image we have here is the Norwex flagship product, the Norwex Microfiber. The company is making high claims that their microfiber cloth, with its anti-bacterial properties, can attract grease, dust, and dirt to it. In addition to that, it can also amazingly breakdown grime that would normally require a chemical-based cleaner to completely eradicate. All that you have to do is use the cloth with water, and wipe up the affected area you want to clean. Here is the Youtube video explaining what is really happening behind the “magic”. ​If you watched the video I suggested above, you can glean that this company is indeed bringing value to consumers by virtue of the products they offer. This alone dissipates the notion that they are a scam company. In my opinion, it is all worth it to become a consumer/user of their offered products. But in as far as making this opportunity as your primary source of income and livelihood is concerned, I suggest that you dismiss the whole idea for your own good. ​If you will go and check out their official website, you might get too excited with what they have indicated on their site -- JOINING THE COMPANY IS FREE. But don’t allow yourself to get too swayed on by that, here is what Norwex team really wanted to say. You are necessitated to pay $9.99 to get your Starter Kit, for its shipping to your location as well as the handling fee. During the first 90 days after you become a full-fledged product distributor for the company, you are expected by them to make a $2,000 retail sales or even more. If you are able to make it, then your joining fee is free. Otherwise, they will charge you the $200. On top of that, you’ll also pay for the tax on the kit. Much like any other MLM companies, you need to keep your distributor profile active. In order to do that, you need to have at least $250 product sales in a span of a 3-month calendar cycle. In addition to that, you are also required to pay $9.99 every month, this one is for the Consultant Office Plus. The 90-day window for you to arrive at the $2,000 product sale will commence soon after you signed up. This is in contrast to the notion of many when they received the products. Normally, you should be able to get your starter kit in 5-10 business days. This part is confusing many aspiring distributors for Norwex products. It is because, in the Norwex official website, they stated that their starter kit is free of charge. Truth be told, it is not absolutely true. One requirement for you to qualify for a free starter kit is that you need to reach a minimum sales of $2,000 in your first 90 days as a product distributor. Otherwise, you will cough out $200 for it. I tried to look for their IDS or income disclosure statement. As a qualified MLM company, the law is necessitating them to produce this document for the benefit of the people wanting to join their team. The purpose of having their IDS accessible on their website is to give the public an idea of their potential income should they decide to join the company. But in the case of Norwex, this important document is not on their website for some reason. We can only come up with some wild guess as to their reason for not giving access to this important document. It might be that they don’t want to discourage aspiring product distributors from joining their team due to low-income potential. Many networking companies found great success in making innovations when it comes to offering their product lines to their target market. As for Norwex, the solitary sales strategy they can come up with is you hosting a “Home Party”. The purpose of which is to entice your prospects and check out your product offerings, right in the comfort of your home. But that approach though is too old school and may not really work, no guarantee that you can get a good amount of sales out of it. The moment that you become a full-fledged product distributor for Norwex, they will provide you with a website from which you can promote Norwex merchandise. However, this is a duplicated website. Without any good background knowledge on lead generation, this website they will give you is of no use. And if you are under any impression that they will help you out on that aspect, you are terribly mistaken. You are on your own here. All business organizations, regardless if you are under the arm of an MLM company or not, need to have relevant leads in order to ensure that it will stay afloat in the stiff market competition. The absence of which will eventually spell its demise. ​​There is no denying to the fact that Norwex products are top-caliber in terms of quality. You can visit Amazon or any other E-commerce platform if you want to check out reviews and customer feedback on Norwex products. It is likely that you will come across a handful of highly satisfied users. When a business organization knows how to stand up for their product offerings, it perks up your interest to test out their items. In the case of Norwex, they offer a two-year warranty on their microfiber range. This implies that you are entitled to a replacement should issues outside the usual wear and tear arise. Besides that, you should be able to receive your money back within 60 days from the date of purchase if you are in any way you are not happy with their products. Norwex is not your typical MLM company. They actually deviated from the usual focus of most networking teams which are centered mostly on recruiting new members or product distributors. Another area of their focus is satisfying its customers over sales. These points are a good indication that the business is indeed offering product offerings of high integrity and value. ​Now let us try to address the questions these questions that are hounding us. Is Norwex a pyramid scheme? They are not, no. Is Norwex a scam? No, they are not. Is Norwex really worth your while? On this one, it all depends. ​​​By selling their products, the Norwex team is able to make huge amounts of profit. One reason for that is because the price tags they have for their products are quite expensive. The exorbitant prices they have for their product offerings is actually working to their advantage. How so? People like to associate high priced commodities to high quality. In addition to this, Norwex is so focused on being a product-oriented company. This aspect is also working to the best of their interest in the sense that it helps make that needed distinction from qualified scam organizations and pyramid scheming companies. The thing is, despite the fact that Norwex is employing a legitimate business model, I am not going to encourage you to even consider their platform as a viable vehicle to develop you another stream of online income. The business opportunity is not sustainable. With all the points, facts, and information given in this review, they’re all bringing us to this one important, conclusion -- that despite the fact that the majority of Norwex items are of very good quality, the business opportunity they are inviting you to try is not very good. It is not for your best interest but the company's. Test their affiliate marketing course and system all you want in all aspects of it, discover how it works until you are fully satisfied. Decide to try it out when you are ready. ​With all the facts and figures presented here in this review of the Norwex business opportunity, would you still consider joining this networking team? Why, or why not? ​We will appreciate your insightful feedback in the comment section below.